Who goes to Smith? We could quote statistics on geographic distribution, class rank and College Board examination scores. But statistics do little to give you a sense of the vibrancy, intelligence and talent of the women who choose Smith. Every incoming class includes some who have unusual talents and maybe some yet to be discovered. Though diverse, all have strong academic records, as well as several other attributes that the board of admission seeks: motivation, determination and curiosity. You can apply to Smith under one of three decision plans: Early Decision I, Early Decision II, and Regular Decision. You may only enroll in the fall. Ready to Apply to Smith? Smith accepts two applications for first-year admission—the Coalition Application and the Common Application. Smith does not have a preference for one application over the other. There is no application fee. Smith accepts two applications for first-year admission—the Common Application and the Coalition Application. Smith does not have a preference for one application over the other; both of these application types will receive equal consideration in our admission process. All required forms and instructions for completing each application are available on the application web sites. A writing supplement is required for each application. U.S. Citizens: SAT I or ACT and SAT II scores are optional for U.S. citizens and U.S. permanent residents. International Citizens: Standardized tests (SAT I, ACT, TOEFL, IELTS or PTE) are required for international citizens. The SAT I or ACT is required for students being instructed in English. The TOEFL, IELTS or PTE is required for students being instructed in a language other than English. SAT II subject tests are optional for all applicants. 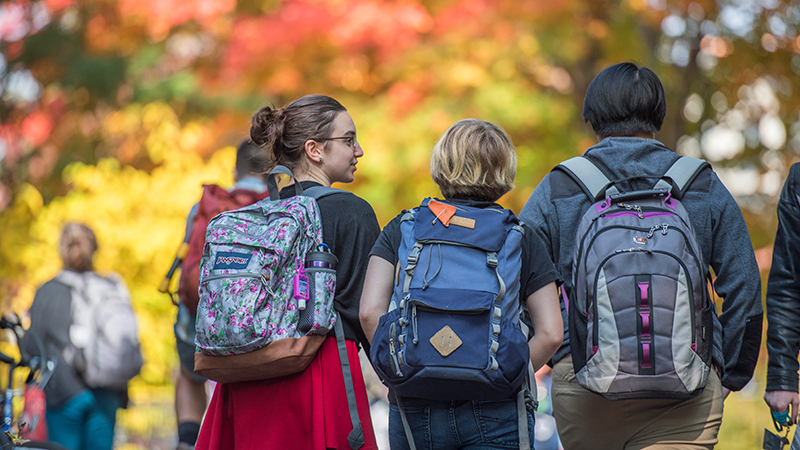 Undocumented and Deferred Action for Childhood Arrivals (DACA) students follow the procedures and requirements for first-year or transfer admission. They are evaluated in the same way as U.S. citizens and U.S. permanent residents; SAT I or ACT and SAT II scores are optional. Undocumented and DACA students should indicate “Non-citizen” or “Other” in the citizenship field on the Common Application. Because we want to obtain a comprehensive picture of the student’s background and experiences in the context of her school and community, we encourage undocumented and DACA applicants to disclose their citizenship status in the application. Undocumented and DACA students may apply under any admission plan, including Early Decision. Smith meets 100 percent of the demonstrated need of all admitted students who apply for financial aid by the published deadlines. Because federal financial aid is not available for undocumented and DACA students, Smith provides institutional, need-based financial aid in its place. Please be in touch with the admission office if you have further questions. For more information about resources for undocumented students, visit our Immigration Policy Resources and Responses site. Students with strong backgrounds in music, visual art or dance are welcome to submit supplementary materials to support their application. Materials in other genres are not accepted or reviewed. Please note that you must submit all materials electronically using SlideRoom (not via regular mail). Materials will be accepted beginning August 1, 2018 through February 1, 2019. Portfolios started by February 1 must be completed by February 15 or they will not be reviewed. If you intend to apply for financial aid, you must do so when you apply for admission and by the published deadlines. U.S. citizens who do not apply for financial aid by the published deadlines will be required to complete 64 credits earned at Smith before they are eligible to apply for institutional financial aid. This means that a student would be eligible to receive only federal, state and outside aid for her first two years at Smith; no Smith grant aid would be available before that period. International students who do not apply by the published deadlines prior to admission are ineligible to receive institutional financial aid from the college at any time. Visit Tuition & Financial Aid for financial aid deadlines and information and instructions on applying for financial aid. Early Decision is a binding commitment and is intended for students who have determined that Smith is their first choice. An Early Decision candidate may be admitted, deferred to Regular Decision or denied. If you are admitted under the Early Decision plan, you must enroll at Smith and withdraw all other college applications. In accordance with the National Association of College Admission Counseling policy: "Should a student who applies for financial aid not be offered an award that makes attendance possible, the student may decline the offer of admission and be released from the Early Decision commitment." Admitted students who wish to defer their offer of admission should send a letter to Dean of Admission Deanna Dixon, or send an email to the admission office. We must have your request in our office by June 1. Please state the reasons for deferral and explain your plans for the next year. You must pay your enrollment deposit by the published deadline to hold your space in next year's class. First-year students may defer admission for one year only—we do not allow first-year students to enroll in January. Credits are recorded for scores of 4 or 5 on most Advanced Placement examinations. The credits allotted are determined by the individual department. Smith will award up to a semester's worth of credit if you have taken part in an International Baccalaureate program. The exact amount of credit will be determined once an official copy of results has been sent to the registrar's office. Smith’s policy is one of self-identification. The college considers for admission any applicant whose birth certificate reflects their gender as female, or who identifies as female. For more information see Gender Identity and Expression. If you are interested in applying to Smith, please fill out this form to request more information.